Although the Municipality of Tavira is one of the largest ones in the Algarve, the city itself is not very big, with roughly 2Km radius. It's common to see people walking around town day or night either for leisure or anything else, and although it isn't a flat area, it's easy enough to walk around the centre and do some sightseeing. Also the city centre offers very limited access to traffic and only pedestrians are allowed nearby many of the historic areas. The city has a public transportation system in place called Sobe e Desce. 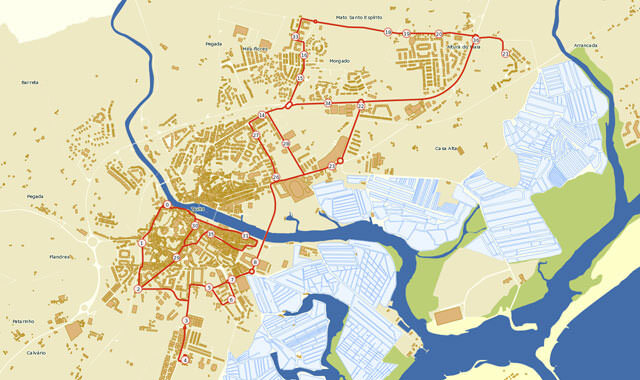 It's composed by 2 traffic routes, the Red Route and the Blue Route. Download the Sobe e Desce blue route	(2324 downloads) in PDF format. Download the Sobe e Desce red route	(1756 downloads) in PDF format. 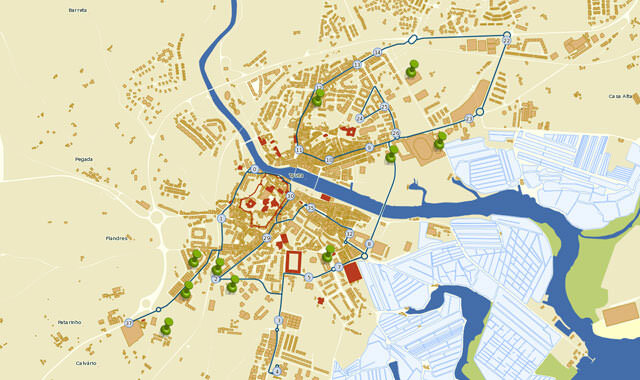 There is a dedicated section to maps of Tavira so you can find your way around town and plan your adventures.